The Milwaukee Bucks remain the only unbeaten team in the NBA and another month has passed us by, which means it is time for another installment of the expected dividend increases series. Prior to delving into the dividend increases that I anticipate for the DGI portfolio for the month of November, I'll start by recapping the dividend increases from October, and their impact on my dividend income. As expected, there were 3 raises in the month of October. However, the dividend raise from Dominion Energy (D) that I expected didn't materialize. I suspected that Dominion would continue a trend that began last year with them increasing their dividend by a small amount in October, but that raise appeared to be a one time event. Luckily, I do anticipate a high single digit dividend increase from D in January as that has been the month in which they have announced dividend increases for years now. Instead, the dividend increase came from a recent purchase as I'll detail below. Iron Mountain (IRM) announced a dividend increase of 4% from a quarterly dividend of $0.5875 a share to $0.611 a share. Furthermore, the company also posted strong Q3 results with 12% YOY revenue growth and 9% YOY adjusted funds from operations (AFFO) growth. Unfortunately, IRM wasn't able to make any progress on the deleveraging front in paying down their debt, as they have debt that is above average when compared to their peers in the self storage and data center segments. On the plus side, they were also able to avoid issuing any new shares which would dilute their strong growth. This increase added $0.19 in annual dividend income across my 2 share position which I intend to add to over the next couple of months. Overall, I'm very pleased with my recent purchase of IRM and I'm confident that they will successfully deleverage their balance sheet, and subsequently receive a credit upgrade. Enterprise Products Partners (EPD) announced a dividend increase of 0.6% from a quarterly dividend of $0.43 a share to $0.4325 a share. This dividend increase was exactly as I expected as EPD continues to increase its dividend by a small amount every quarter. This increase added $0.09 in annual dividend income across my 9 shares. EQT Midstream Partners (EQM) announced a dividend increase of 2.3% from a quarterly dividend of $1.09 a share to $1.115 a share. 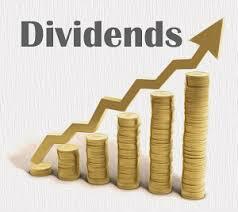 This dividend increase was also as I predicted in my expected dividend increases in October post. This raise increased my annual dividend income by $0.40. Although I'm not expecting any dividend increases across my 32 holdings in my Robinhood portfolio, I am expecting a dividend raise that others in the community are also eagerly awaiting in my recently opened M1 Finance brokerage account. Hormel Foods Corporation (HRL) is one of 50 roughly equal positions in my rather small M1 Finance portfolio. HRL is a company with a reasonable payout ratio that could likely expand a bit in the coming years as the payout ratio is a bit over 40%. With earnings expected to grow in the high single digits to low double digits over the next 5 years, I wouldn't be surprised if HRL announced at least a 9% increase in their quarterly dividend from $0.188 a share to $0.205 a share. This would increase annual dividend income by just under $0.005. Overall, my forward annual dividend income increased by $0.68 from dividend increases alone. This doesn't even include the continued retirement contributions and occasional Robinhood portfolio purchases, which will soon manifest themselves in my monthly dividend income reports. Although I'm only expecting 1 dividend increase in November and it's not even from my Robinhood holdings, I'm expecting quite a few in the months beyond November. What was the impact of October dividend increases on your annual dividend income going forward? Are you expecting any dividend increases in November or are you expecting a light month as I am?